CPL Expands into 3rd UK manufacturing facility in Kettering. 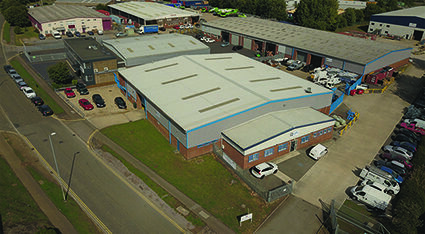 CPL have now expanded into a 3rd UK facility. We have grown and grown in the last few years due to the large orders we are receiving from our loyal returning customers and our new customers. We have always prided ourselves on manufacturing as much as possible within our UK based facilities. These now include a full design engineering studio, welding and fabrication facilities, our own in house shot blasting and powder coating and an internal CPL care service department. Due to the number of orders, and the popularity of our newer van mount range, we have separated the pick up and van mount production into two much larger facilities. The 3rd UK factory is where we manufacture over 60% of the build in house including our subframes, aluminium lockers and a number of other integral parts of our builds. This way we can intervene at an early stage if the design needs to be changed or any problems occur. Our team are dedicated to produce the best possible quality of build that they can as they are proud to work for a strong British company. If you are interested in one of our conversions, come in and take a tour of our factories. Contact us to book in a visit or to find out more about our range.